For a California country club wedding, Officiant Guy is the best marriage officiant in Southern California. 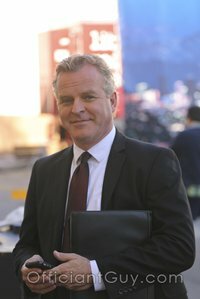 He can issue you a California Confidential Marriage License AND perform your wedding ceremony any day or evening. 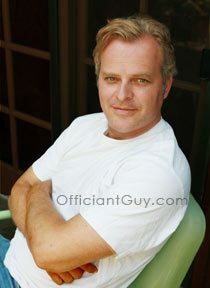 Officiant Guy is the marriage officiant for many California County Club Weddings around Southern California. California has some of the best country clubs and we are honored to be a part of a wedding at any one. Officiant Guy is often recommended by many of the country club wedding coordinators throughout LA and Orange County. Whether you’re getting married at the Bel-Air Bay Club or the Virginia Country Club or the Palos Verdes Country Club or the Riviera Country Club, pictured above in Pacific Palisades, – -or any country club in Southern California, Chris can be there to officiate your wedding. He has the sort of class and demeanor that fits well with a country club setting. His intelligence and wit, along with the fact that he is incredibly respectful are why many celebrities have asked him to be their officiant. Not only can Officiant Guy be there to perform your wedding ceremony, but he can also issue your California marriage license right before your wedding ceremony so you don’t have to waste your time at the County Clerk’s office. And Officiant Guy is one of the few wedding officiants who hand delivers his marriage licenses to the County Clerk’s office to make sure that they reach their destination. He’s an attorney and a specialized notary who makes your wedding a very easy one. So if you’re looking for the best marriage officiants in Los Angeles to officiate California country club weddings, consider Officiant Guy. He is the classiest wedding officiant in Southern California. Chris Robinson is a California pastor for weddings. He has been marrying couples and issuing LA County confidential marriage licenses for over two decades. If you want to get married somewhere in Orange County give the premiere officiant in Orange County a ring at (310) 882-5039 or (562) 547-3255 or fill out the contact form. Get a marriage license, get married…it’s easy.